Golf Edge is a premium Gated Community project by Phoenix living space. It is located at one of the top most residential areas, Gachibowli, Hyderabad. 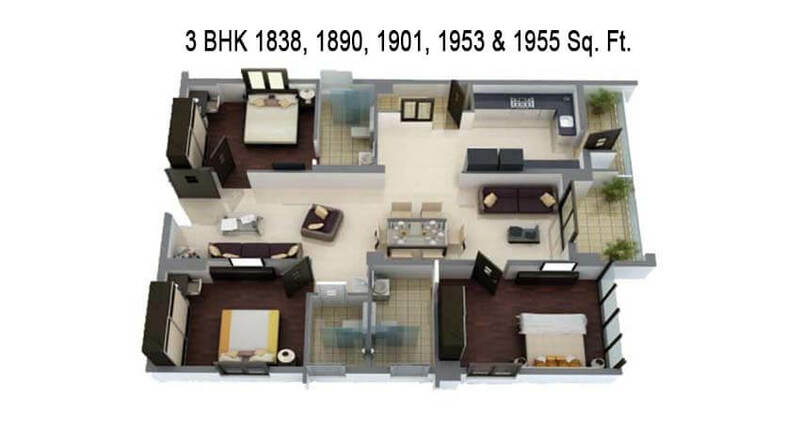 It offers 2 BHK, 2.5 BHK and 3 BHK, Duplex apartments. It is spread over 4.50 Acres of land and comprises of total 487 homes. It has got 2 Towers with 30 floors in each tower. The unit sizes range from 1428 to 3434 sq.ft. 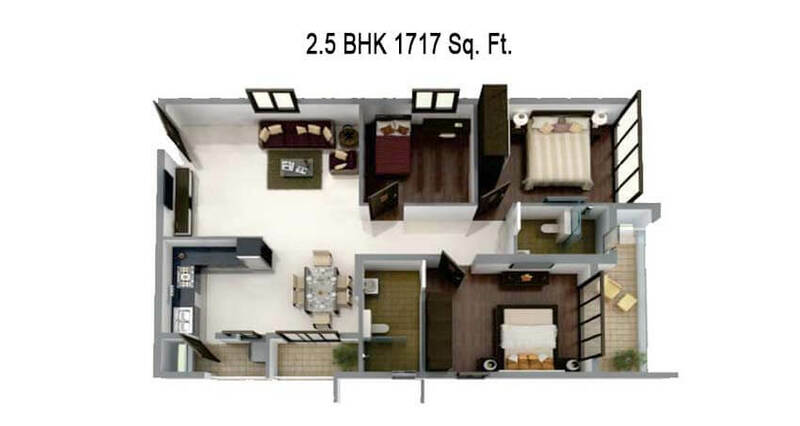 The starting price of apartment at Golf Edge is Rs. 90.6 Lakhs onwards. The possession date of Golf Edge is 2017 and it is in ready to move stage. 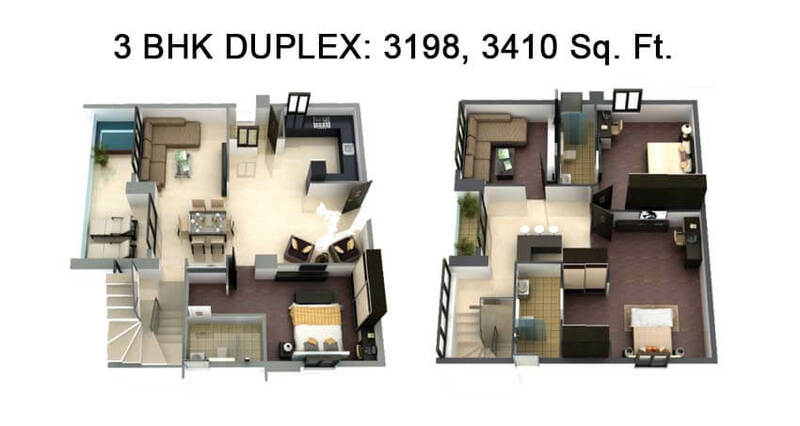 Size Range : 1428 sq.ft to 3434 sq.ft. Golf Edge is strategically located at Gachibowli which is considered as friendly area for both working professionals and business people. It has easy and improved roads to Hi-tech city, Madhapur, Kondapur etc. Golf Edge bestows world class amenities that assure you a stress free and relaxed lifestyle. The huge club house at this project includes sky lounge, spa, fully equipped gym, swimming pool, indoor games etc. Each and every unit is designed with handpicked products after a careful analysis to add value to your dream home. Phoenix is a corporate conglomerate with business interests in Reality, Automobiles, power and mining. Their roots firmly entrench the larger context of deep-seated knowledge about the domains we operate in. Though they have their presence in varied industries, they see realty as their primary growth engine. Their projects are staggering testimonies to luxury and comfort. They are working towards creating a unique world of their own. From blueprint to execution, Phoenix leaves its predominantly identifiable legacy on each project. Every project ushers in something new that surpasses the existing mindsets and features. It is their constant endeavor to excel in delivery of global life spaces - be it homes, offices, commercial or retail. They have received Best Residential project in the segment of Luxury for Golf Edge. Their core values are Transparency, Integrity and Responsiveness. Golf Edge is a gated community project sprawling over 4.50 acres of land with 2 BHK, 2.5 BHK, 3 BHK and Duplex apartments. It comprises of 2 towers with 30 floors in each tower. It has got total 487 units. The unit sizes range between 1428 sq. ft to 3434 sq. ft. 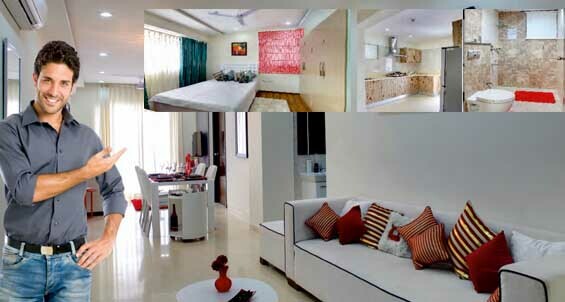 The units are well designed and developed in accordance to suit your luxury lifestyle. Spacious rooms with uncompromised entrance of light, air and comfort are available at Golf Edge. It provides multiple dimensions and various options to choose your dream home depending upon your requirement. 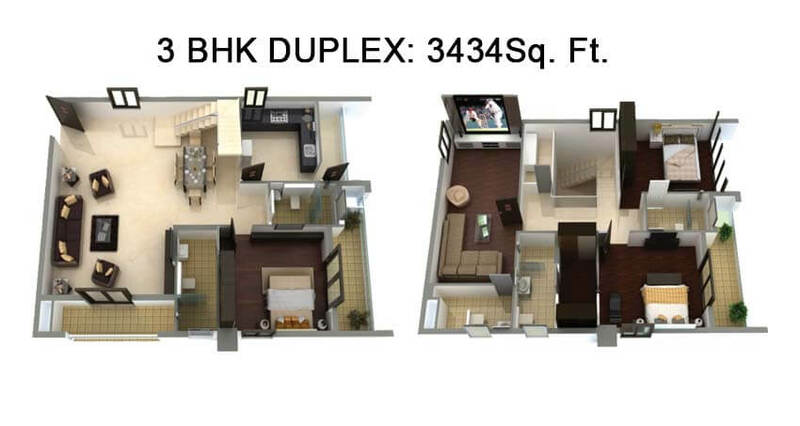 Golf Edge by Phoenix developers is a luxury gated community project at Gachibowli offering 2, 2.5, 3 and duplex units. The price at Golf Edge starts from Rs. 90.6 Lakhs onwards. The major attraction of this project is its location. Gachibowli is connected to all most all major IT and non IT companies. So the profitable returns are expected at Golf Edge within each growing year. Golf Edge redefines the Luxury Living. It is the tallest tower in the vicinity and has the clear view of the city from top of the towers. It exclusively offers Helipad facility where you can land your Helicopter very easily. It provides refreshing sky lounges; Golf Course, Landscapes, children areas, landscape sitouts and children play area. 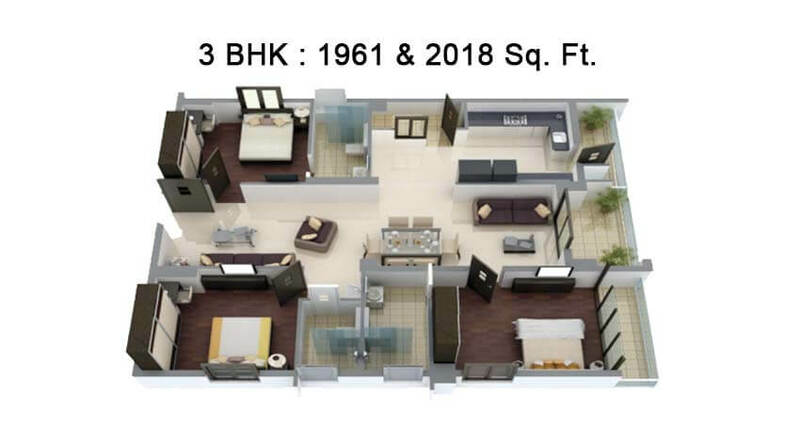 Squash courts, Terrace infinity pool, Terrace Gym, Terrace Indoor Games, coffee shops, Restaurants, Gymnasium, Yoga, massage center, Mini Theaters, childcare and Business centers are some of the desired luxury amenities at Golf Edge. Golf Edge bestows 100% air-conditioned homes. It has false roofing with fans and LED lighting. All the units at Golf Edge are home automated Homes. It brings Modular Kitchen with IFB Dish washer chimney and 4 burner stove. The flooring is done with superior marbles and wooden flooring is done in all bed rooms. It offers international standard bath fittings. Golf Edge exclusively provides piped gas; fire sprinklers systems within the home. Golf Edge aims at making your home reflect your vibrant personality. External:Cement plaster with exterior weather proof paint. French Door: 2 track UPVC door frames with glass paneled sliding shutters. Flooring : 2'X2' Vitrified Tiles of reputed make for Bedrooms, Dining & Drawing Rooms, Kitchen. Electrical :Power outlets for Air Conditioners in Living/Drawing and Bedrooms. Golf Edge is ideally located at Gachibowli, Hyderabad. It is prime and happening location of Hyderabad city. It got easy connectivity to all major companies, schools, colleges, hospitals etc. It instantly connects you to Educational institutes, cultural and recreational centers, medical centers, commercial and office spaces. The prime educational institutes at this location include Gaudium School, ISB, Delhi public school, Oakridge International School, and Hyderabad Central Universities etc. ICICI towers, Raheja Mind space, cyber towers are some among the many multinational companies located close to Golf Edge.